Have you ever stopped to consider this, even for a moment or two? Statistics show that from the age of 40 our natural immunity begins to weaken, at a rate of around 4% a year. And that figure increases to an 8% decline once you reach 65 and onwards. Pay attention and think about fixing it because, simply put, whether you are sick or healthy depends to a large extent on the strength of your immunity. Many of us talk knowledgeably about immunity. We know that if we go down with a heavy cold or flu our immune system must have collapsed. It’s let us down, for whatever reason. You may pay passing attention to the fact but do you think any more deeply about the issue? You probably put it down to stress - long hours at work; an argument with a relative; financial difficulties - the list of everyday traumas is endless. 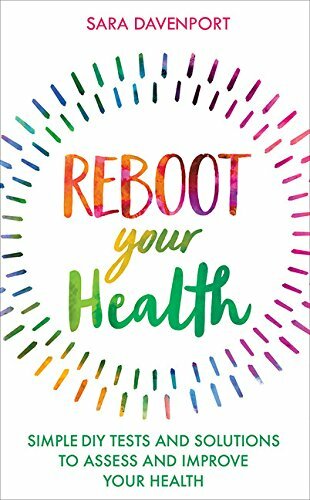 We are all repeatedly informed that stress attacks and weakens your immune system, and that you can boost it back up with vitamins and minerals, quantities of rest and endless meditation. But do you know much more than that? Your immune system is made up of billions of white blood cells and also includes the bone marrow, antibodies and your thymus gland. 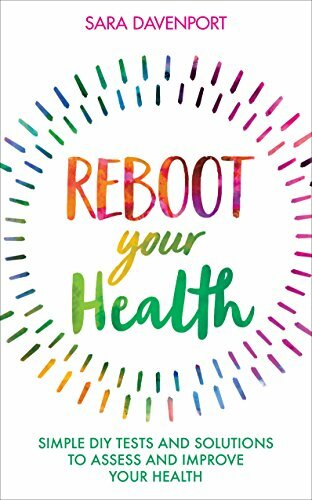 It is in charge of attacking and destroying the millions of microbes (bacteria, viruses, parasites and fungi) that flood your body each and every day. Your health relies on the success of the constant battle between your immune system - your personal invisible defence system - and these external attackers. It’s a never-ending war between warring factions and the stronger your army the greater your chance of a long and healthy life. It’s that simple. On top of that, your defence system also deals daily with your less than perfect cells - the ‘senescent’ ageing, abnormal or cancerous cells that can turn rogue and mutate, harming rather than helping you. The key players in your immune system are your white blood cells - the lymphocytes - the most important of which are the Natural Killer cells (NK cells), the T-cells and the B-cells. In normal circumstances they work efficiently together as a team, destroying unidentifiable invaders and cleaning up older malfunctioning cells. When your body gets overwhelmed by stress, however, and remains in that state over a long period of time, these cells stop functioning efficiently and their numbers go down, allowing inflammation, infection and ultimately, more serious health issues to overwhelm your system. The lower your NK cell activity the higher your risk of developing cancer. Add to the mix a conventional medicine Catch-22, and you find that the standard treatments for cancer - chemotherapy or radiotherapy - may well target cancerous cells but they also attack healthy cells too, weakening the immune system even further. Biobran is my latest find. Rather like Heineken - it seems to reach the parts that other natural health supplements simply can’t. It is nothing less than an immune system miracle and has been shown to raise NK levels more than 35 times in the space of four weeks. Dr Ghoneum of Charles Drew University of Medicine and Science in Los Angeles has described it as the most powerful immune booster he has ever found. Biobran is not meant to be a replacement for conventional medical treatment, but helps to support it, working hand in hand with pharmaceutical solutions to raise numbers of NK cells and T and B cells to optimal levels. 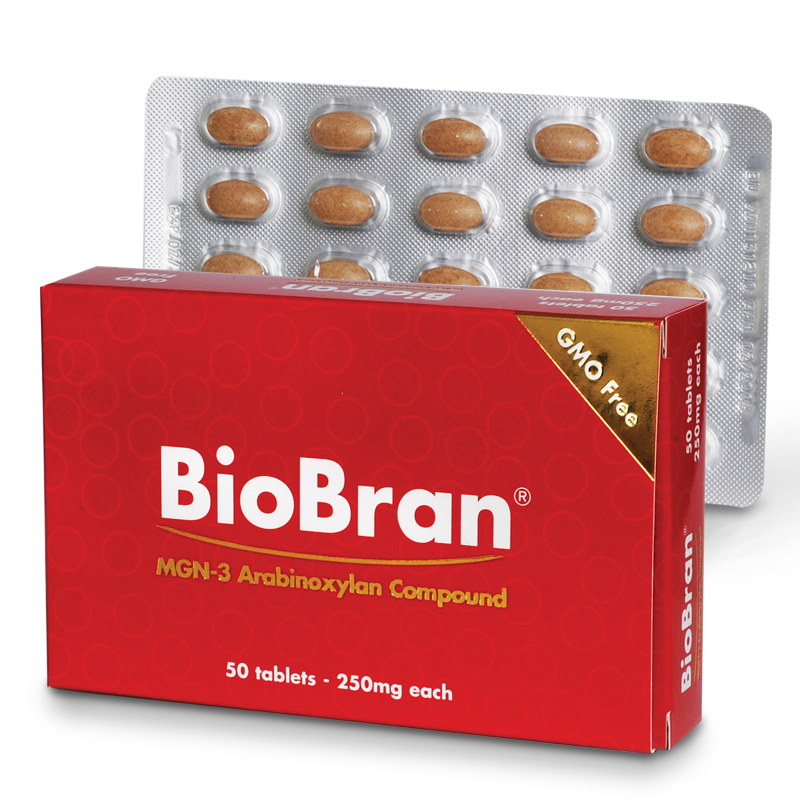 Developed more than 20 years ago in Japan, Biobran (or MGN-3) is a natural supplement made from rice bran broken down by the enzymes of Shitake mushrooms. It comes as a single daily pill which releases its powerful contents first into your small intestine and then on into your blood, where it activates those vital immune cells and triggers cell death in cancer cells. Within two to three weeks, NK cell levels have been shown to increase by up to 300%, B-cells by 250% and T-cell numbers by 200%. And all without side effects of any kind. There are 43 published peer reviewed papers on Biobran demonstrating how it works. It has been shown to help rheumatoid arthritis, virally triggered ME, Hepatitis B & C, HIV and diabetes as well as cancer. Biobran reduces the side effects of chemotherapy and recent trials show it can also successfully control and clear the HPV virus connected to cervical cancer. All in all a very useful pill to add to your daily supplements... whatever your age and current state of health. One of my readers from Serbia got in touch with me a few months ago. She had just been diagnosed with stage 4 lung cancer and asked me if I could suggest anything to help her. Biobran sprang immediately to mind - they have a wide network of global suppliers, and the Serbian distributor came rapidly to the rescue. Now, two months later, she has just had the results of her latest CT scan back which showed the cancer is in regression, with the metastasis in the pleura disappeared and her left lung entirely clear. Of course, with a case study of one it's hard to say if this improvement is solely down to the chemo or if this has been augmented by the Biobran but she feels that without it her situation might have not been so positive. There is a definite difference in the level of side effects and reaction to the chemo she experienced with the Biobran rather than without, which she is clear can only be down to the Biobran. She writes: "Biobran diminishes the side effects of chemotherapy, such as nausea, stomach sickness, tingling in the fingers and toes, and gives more energy and promotes appetite, as well as keeping blood count from falling and helping the body to build it up. Which is very important with oncology patients." Biobran is available from healthy.co.uk, from £29.95. What complementary therapies are available on the NHS?